Looking for LIVE Band Entertainment for Your Christmas Office Party? 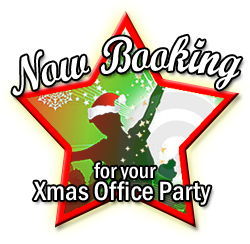 Now Booking for Your Christmas Office Party – Celebrate with the Flange Cover Band Leicestershire’s Ultimate Christmas Party Band! Performing Live Popular Songs from the Past Six Decades Appealing to Wide Age Range. Experienced Professional LIVE Party Function Band. Wide Range of Popular Songs Spanning Past Six Decades to Present Date thus Appealing to a wide Age Group. FREE Disco & DJ + FREE Playlist (Work Colleges Can Add Their Favourite Songs to Disco Playlist with Over 3000 Top & Xmas Party Songs). Professional PA & State of the Art Computer Lighting System & Effects. Save Money - No Booking Agency Fees.